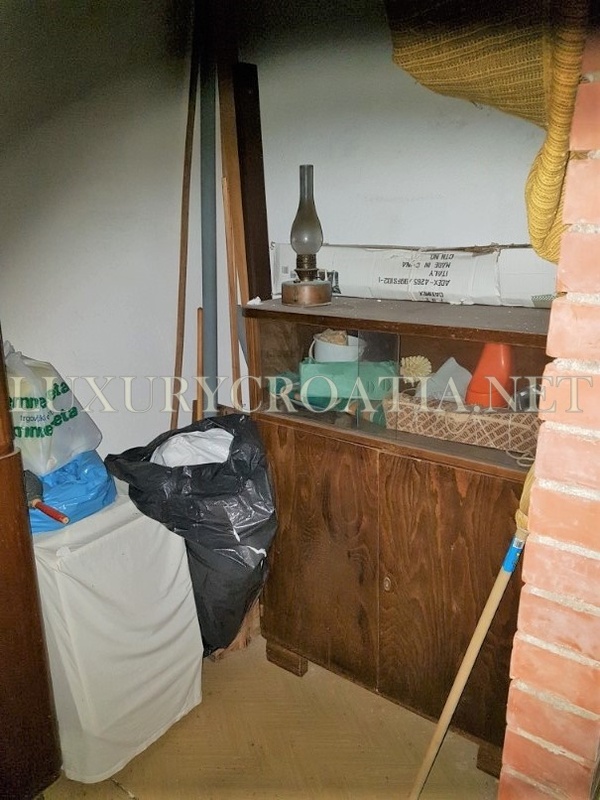 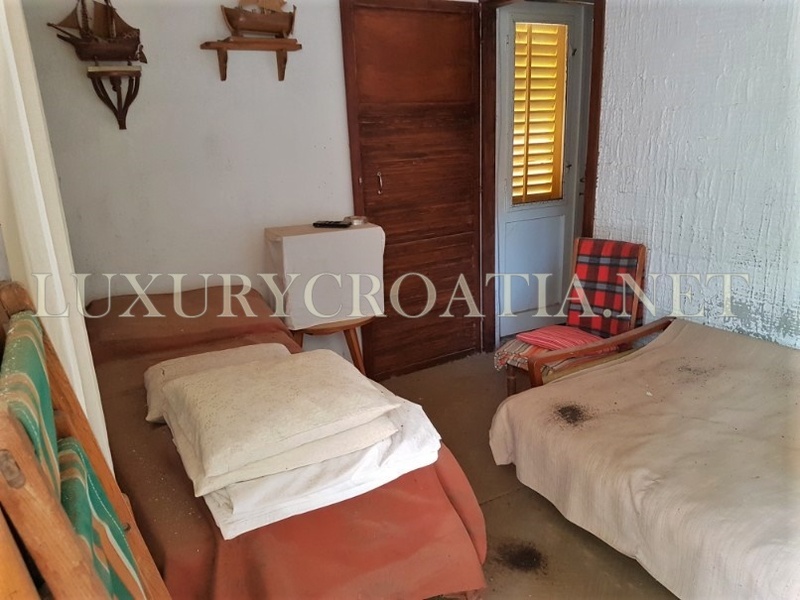 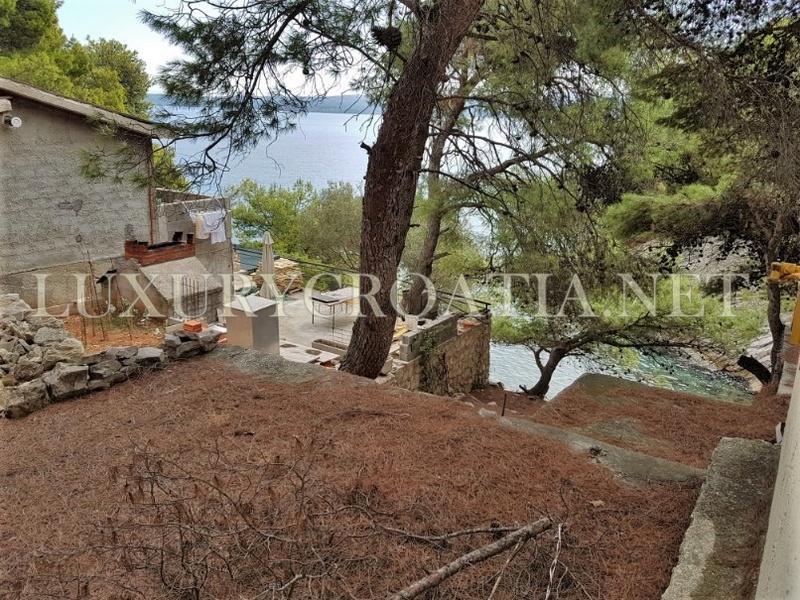 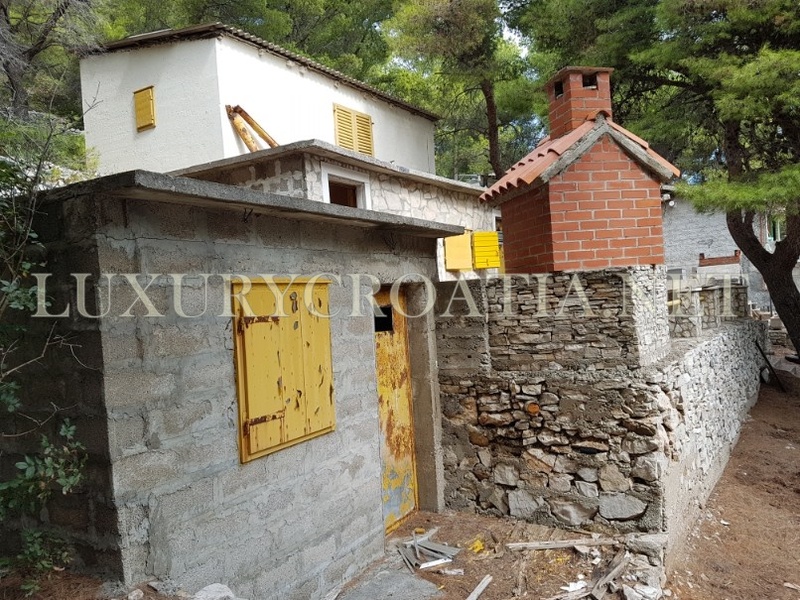 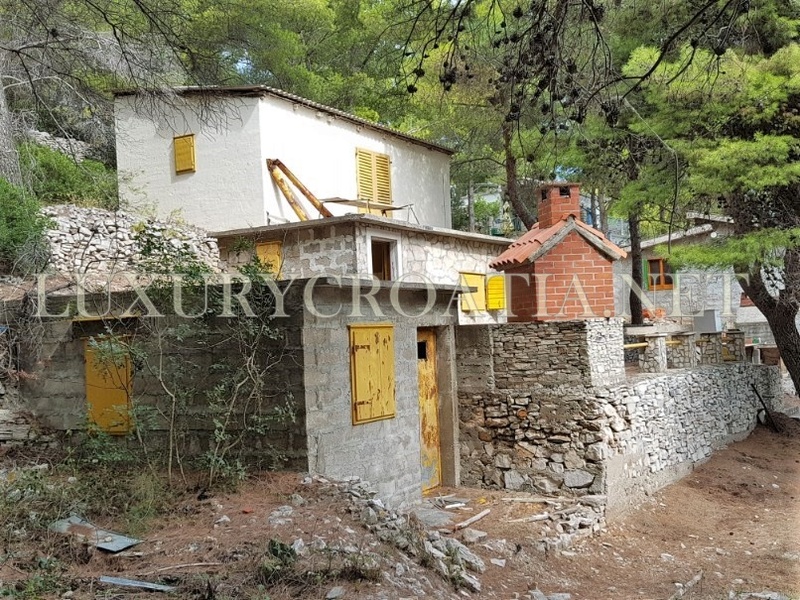 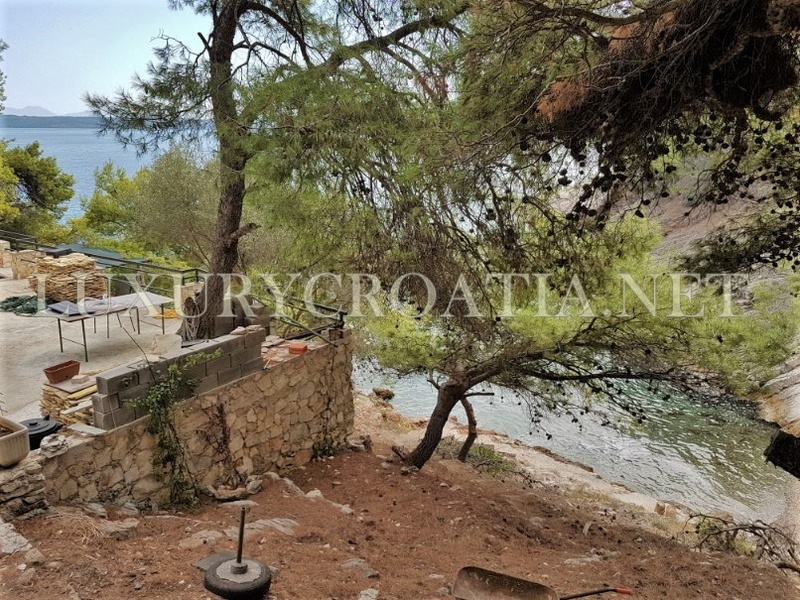 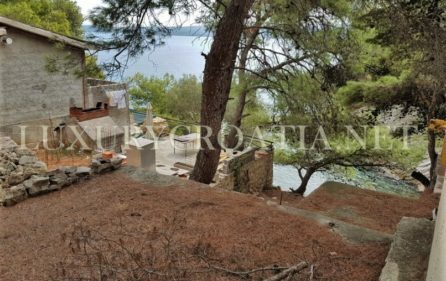 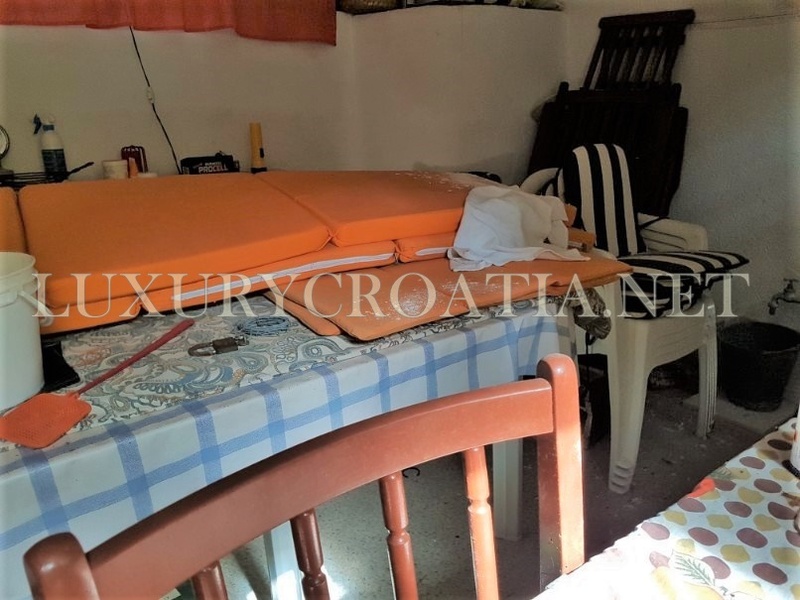 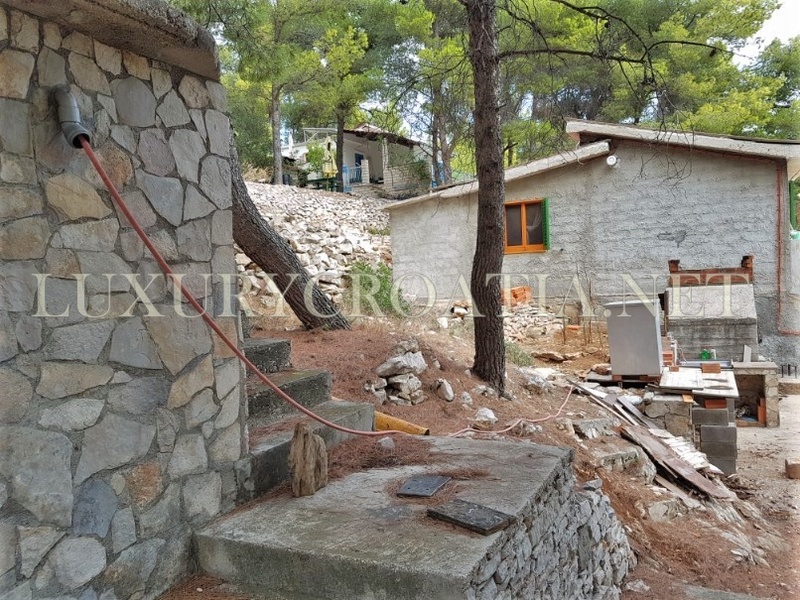 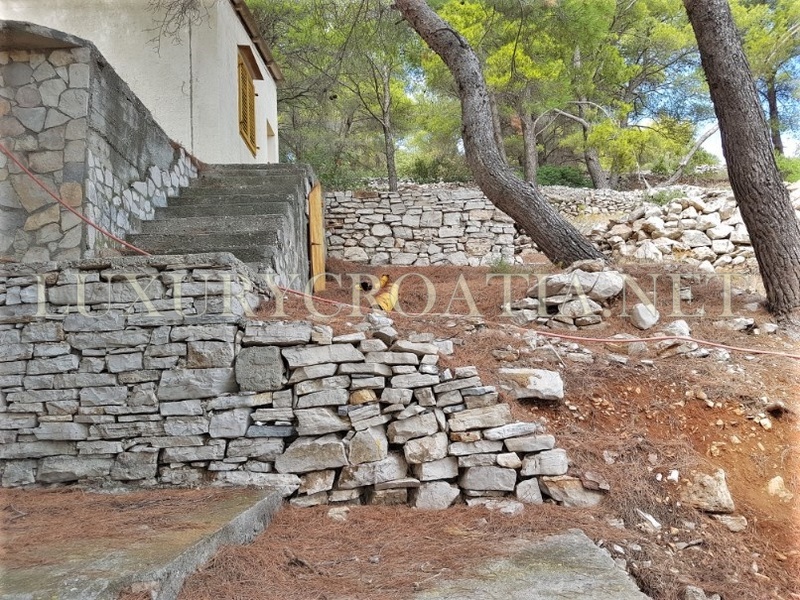 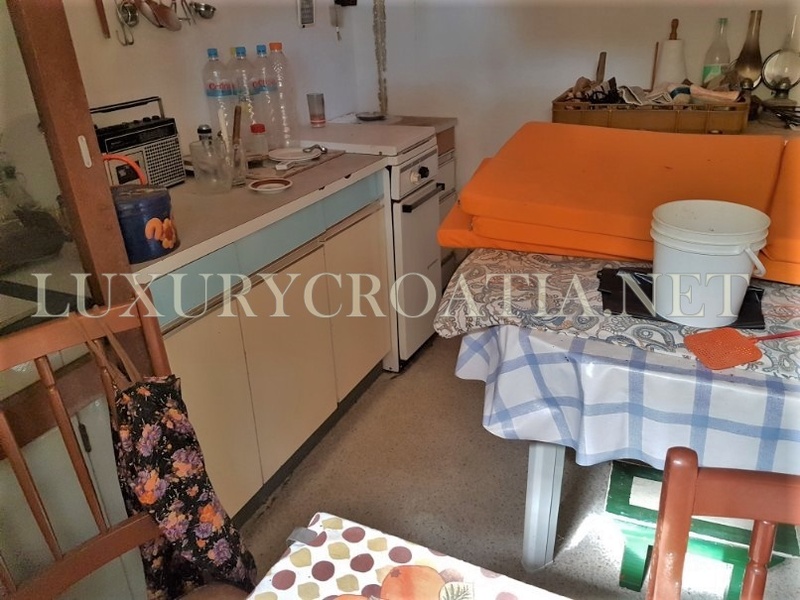 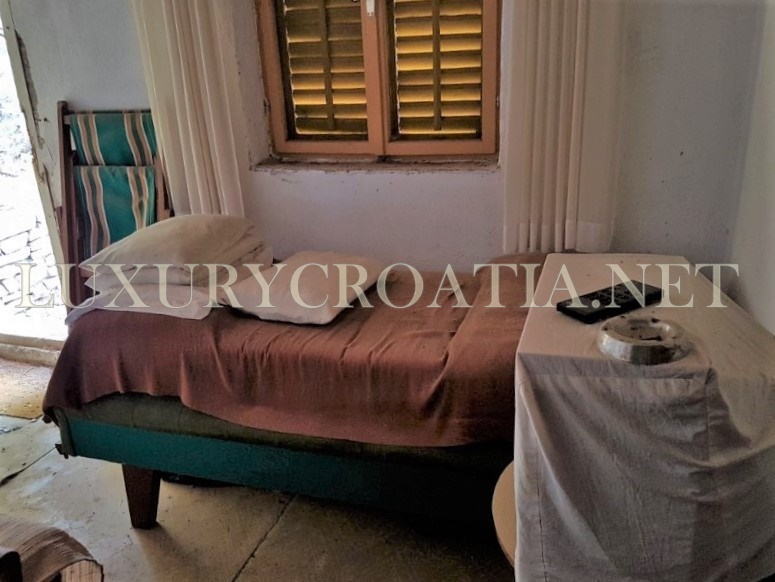 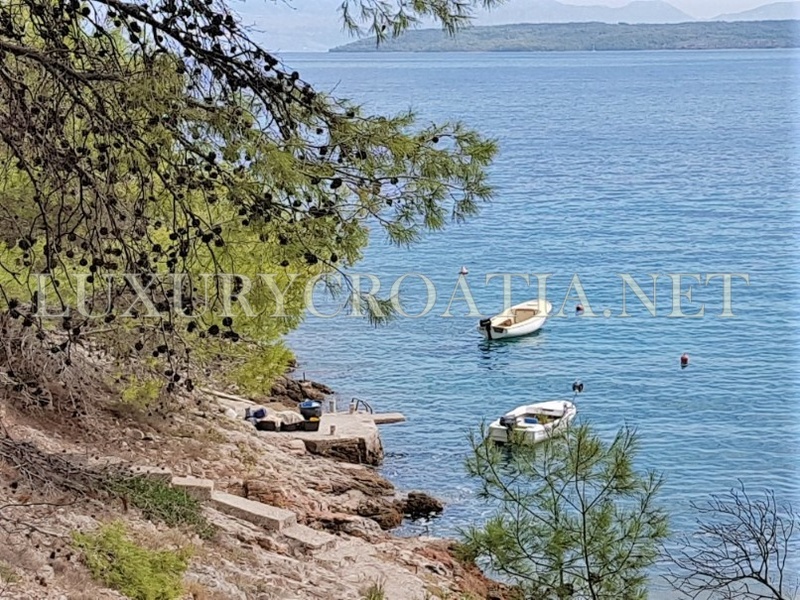 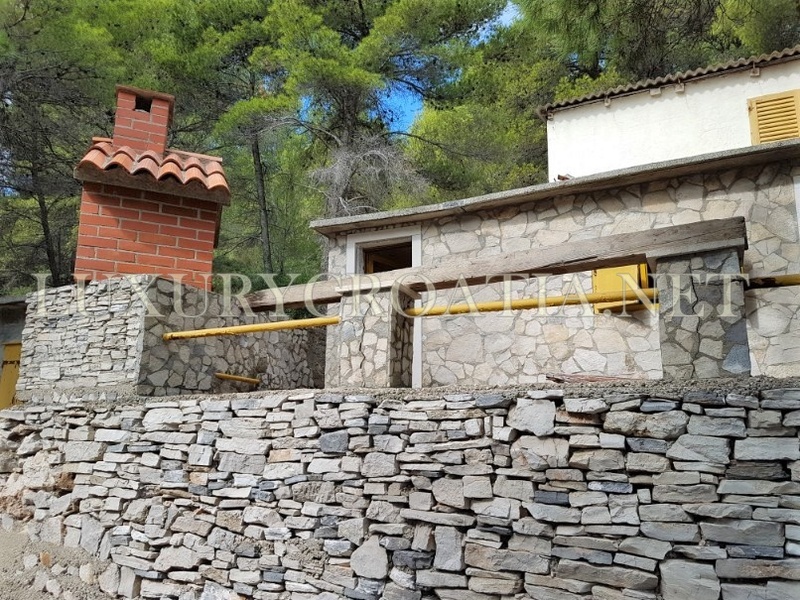 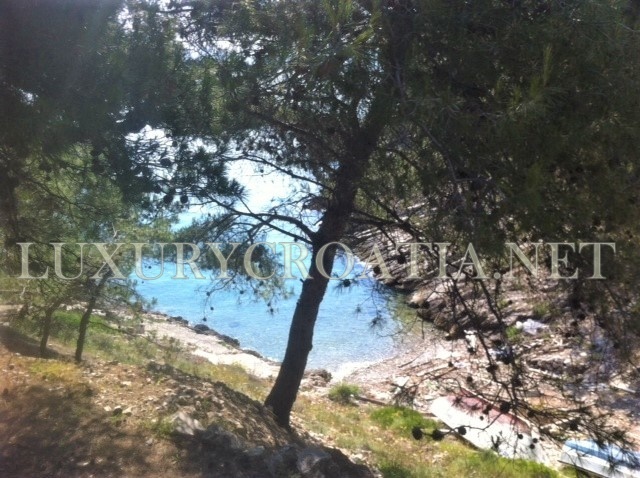 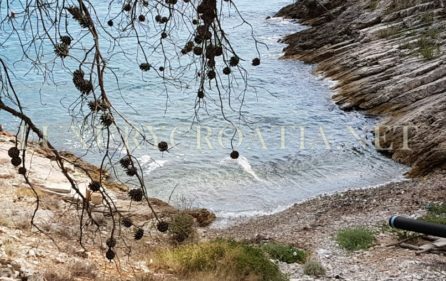 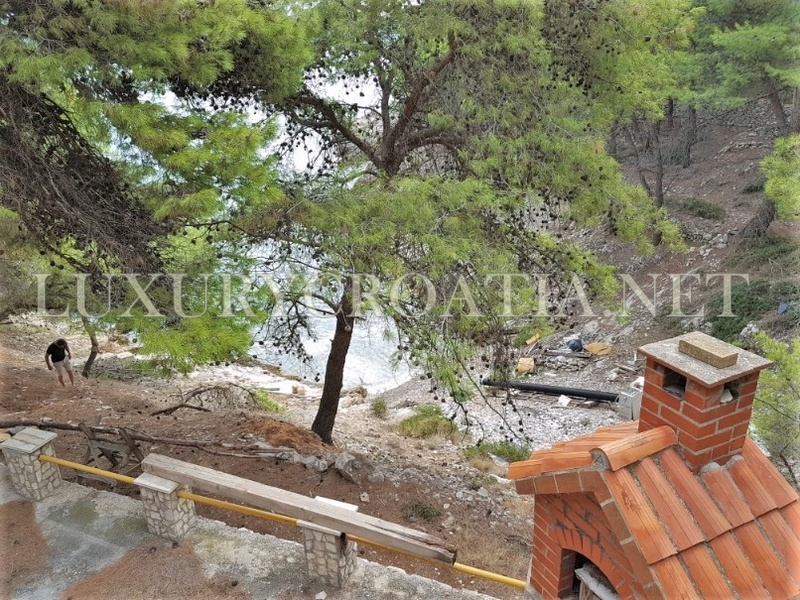 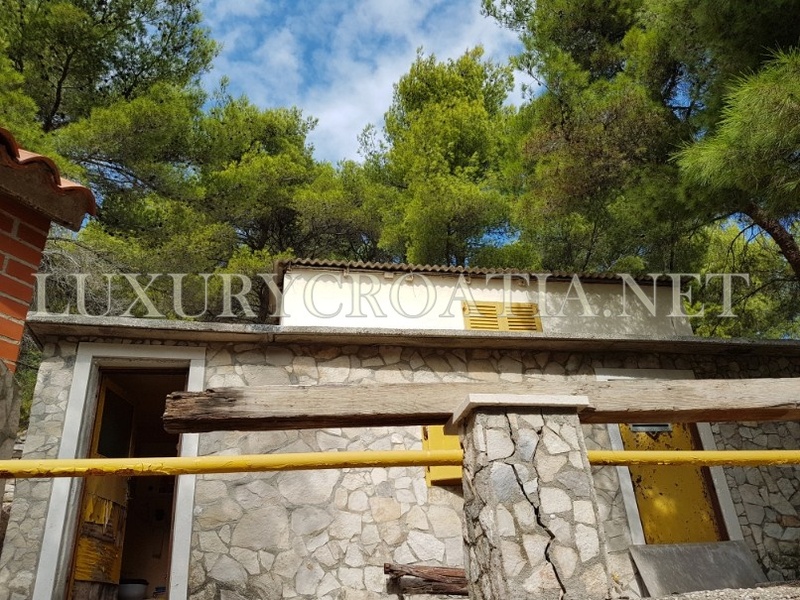 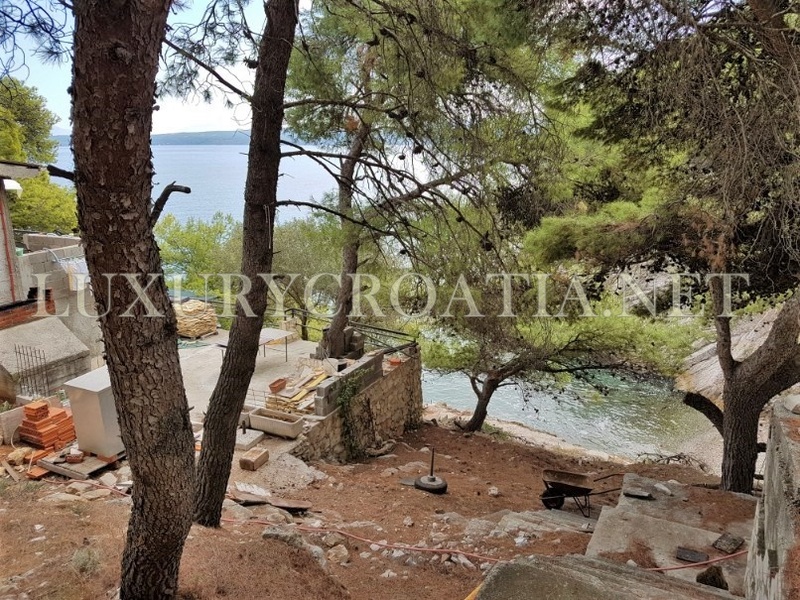 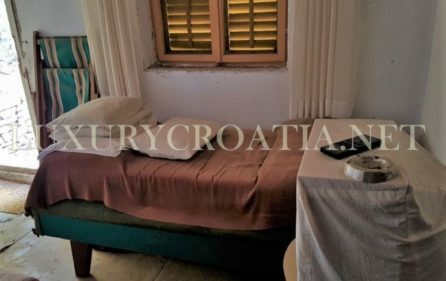 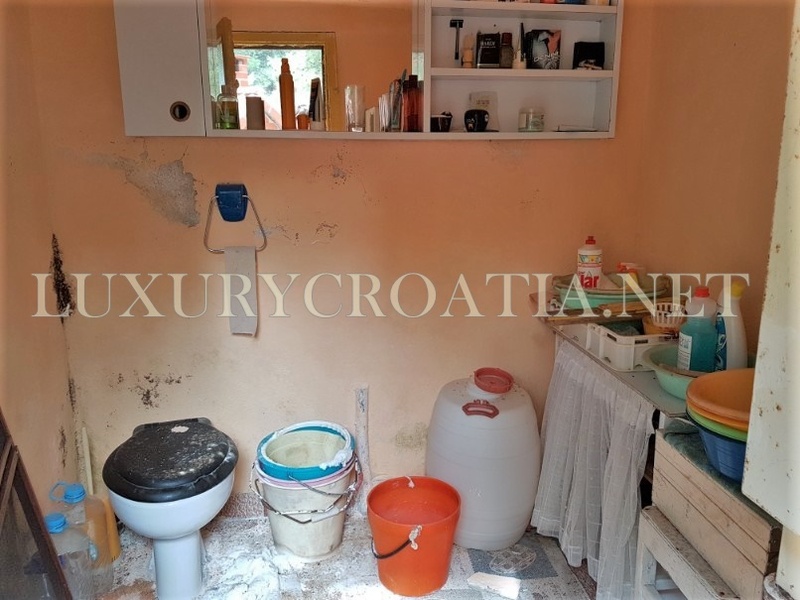 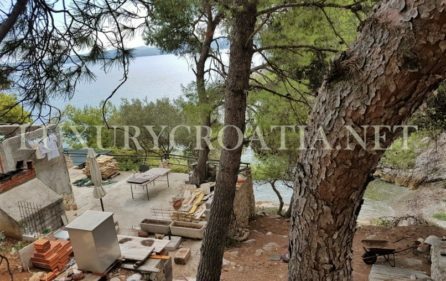 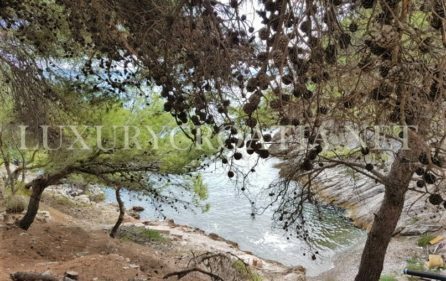 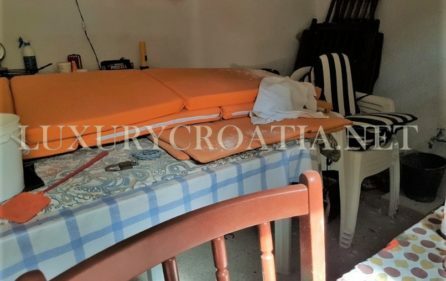 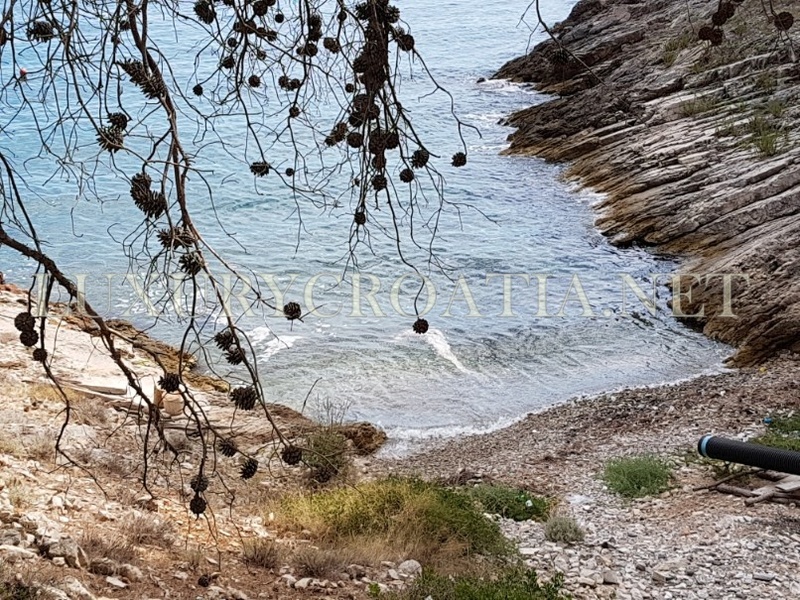 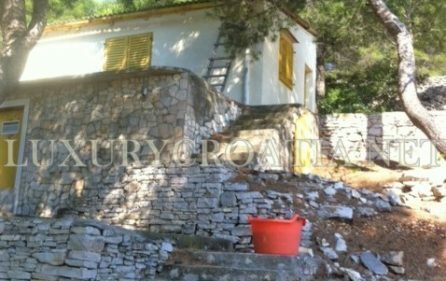 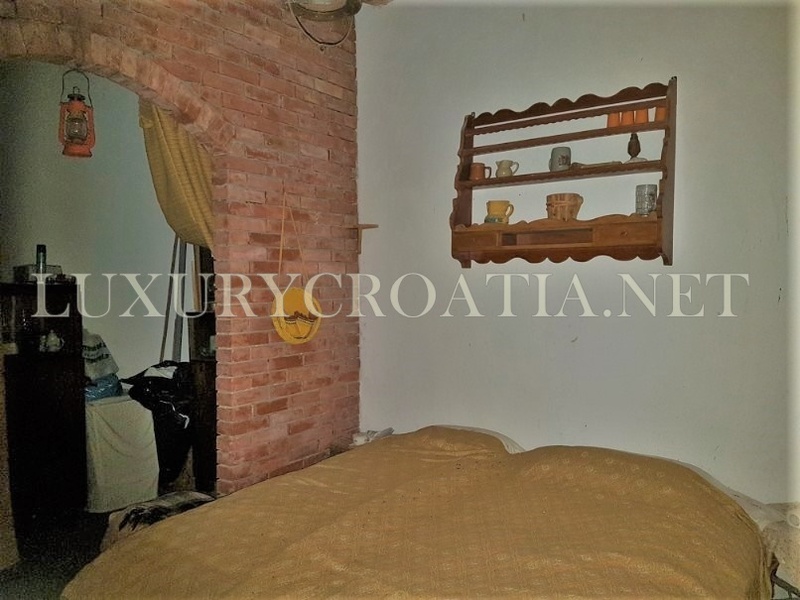 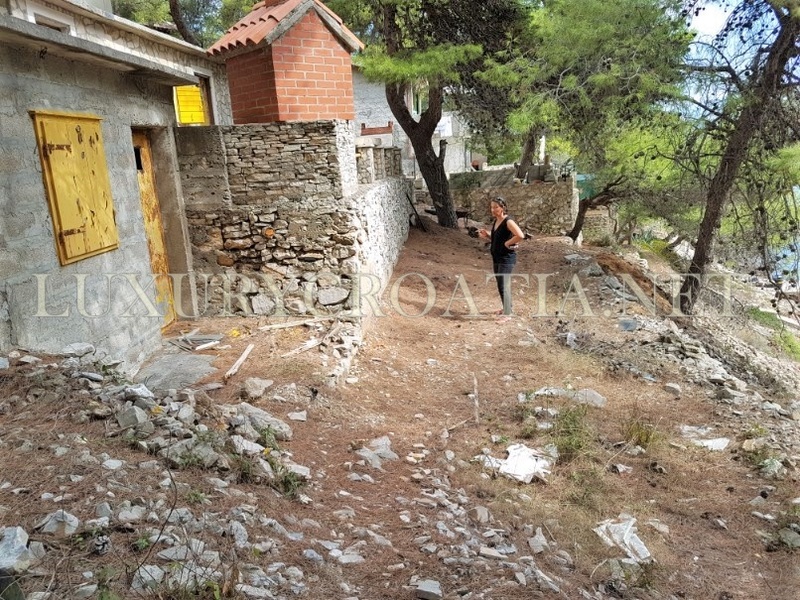 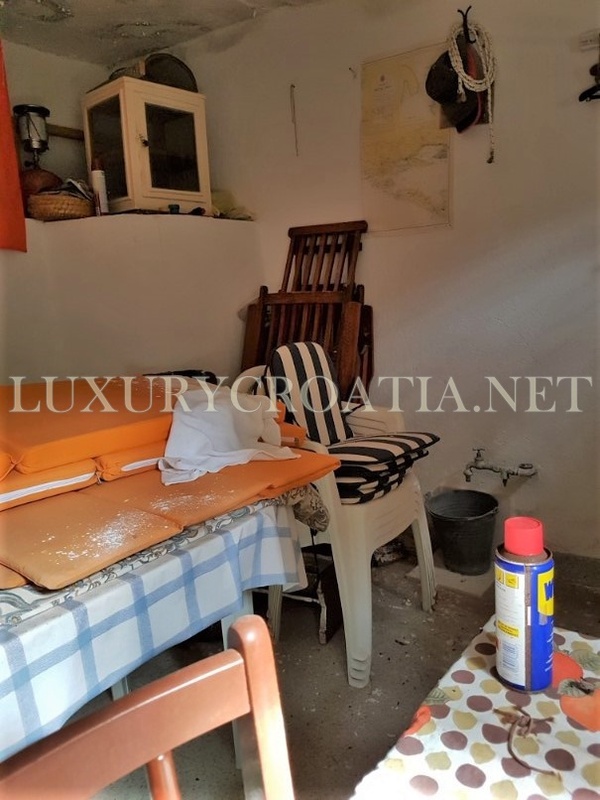 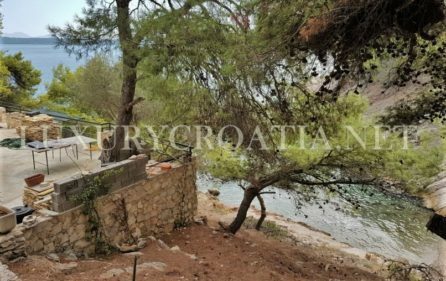 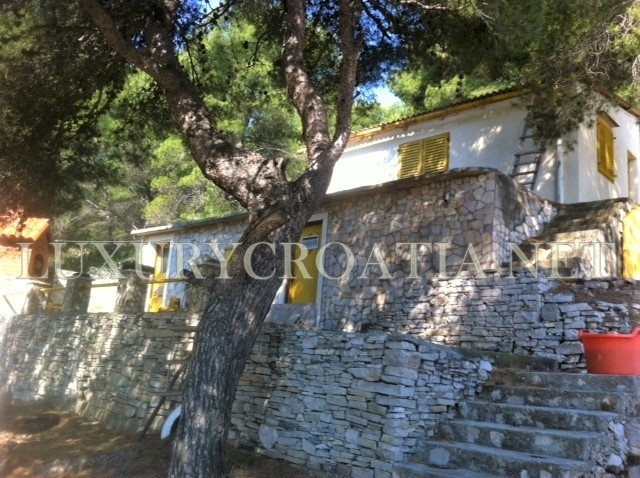 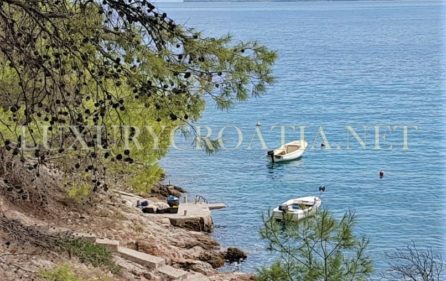 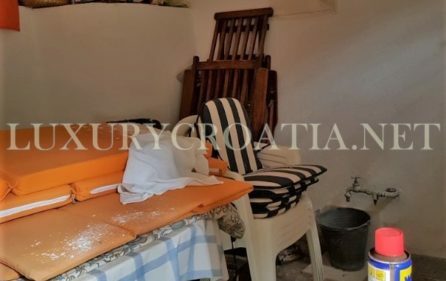 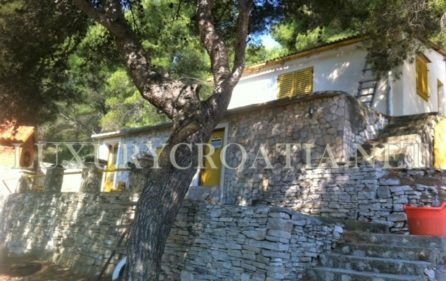 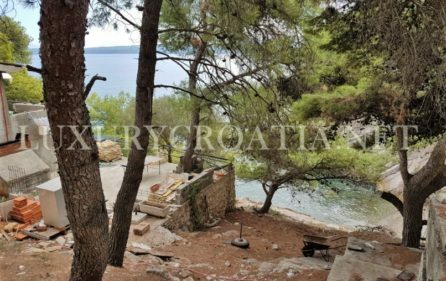 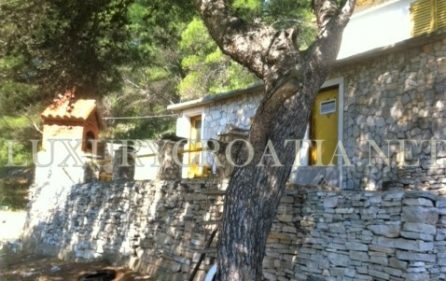 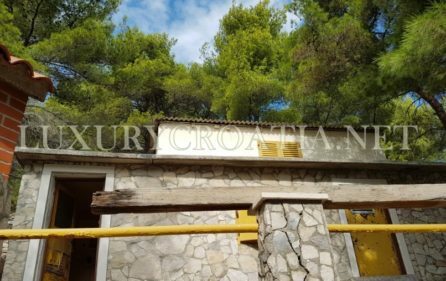 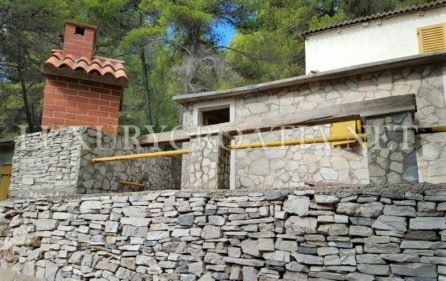 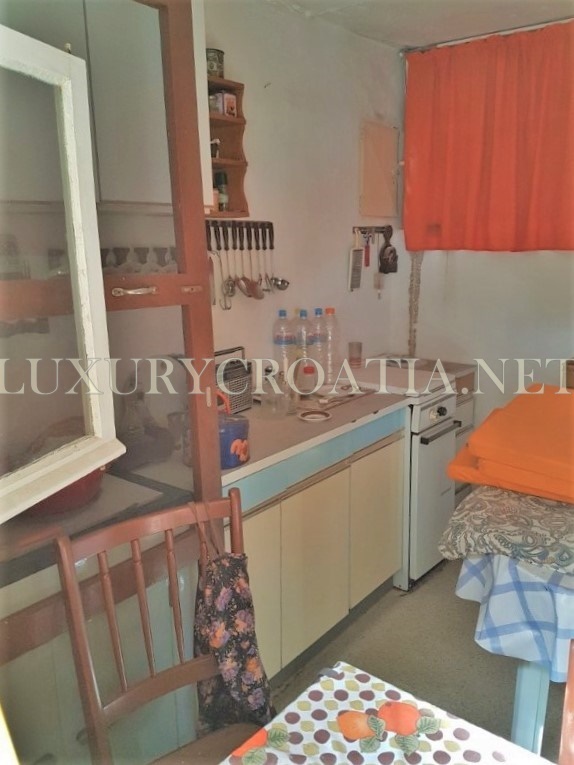 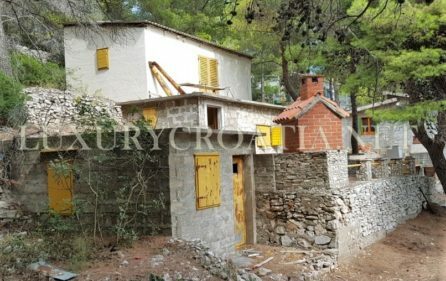 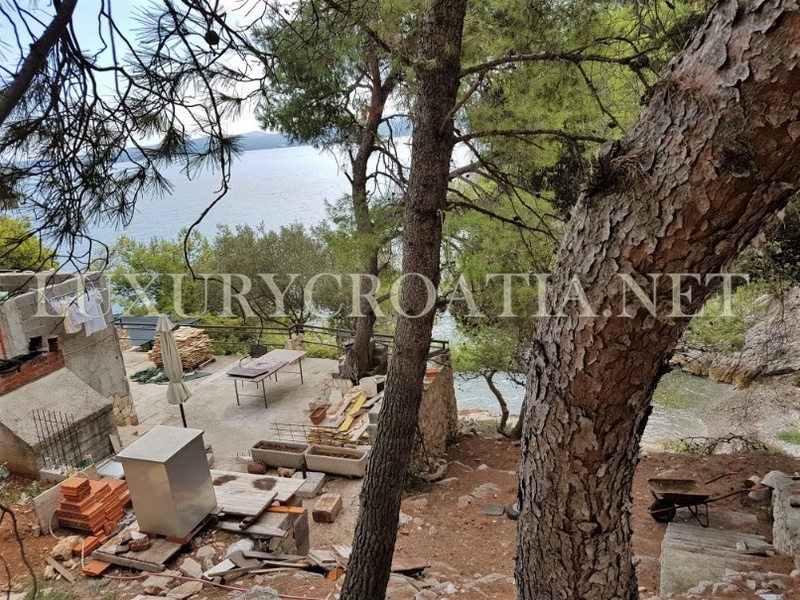 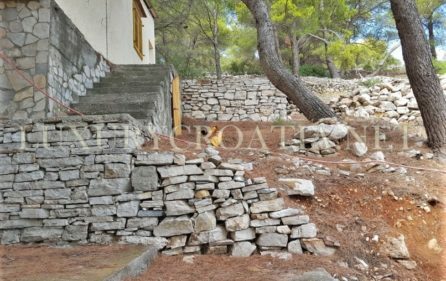 This seafront cottage for sale Solta island is located in a small bay a few kilometers from the village of Stomorska. 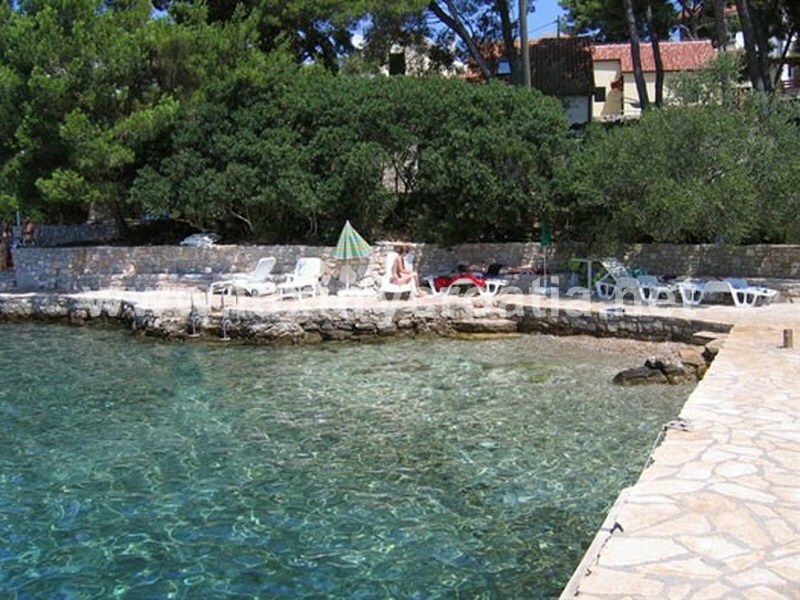 There are only a few small houses in this bay. 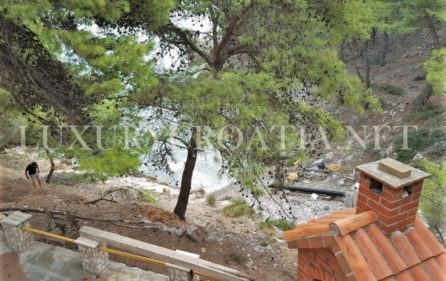 There is no electricity or water system in this bay, but the house has battery aggregate and it is possible to install solar panels. 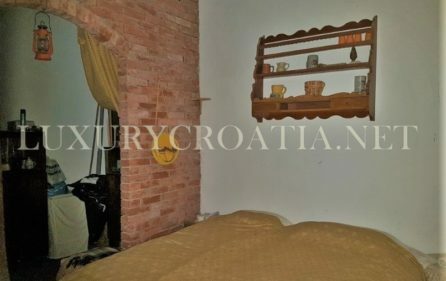 Gas cook and the oven is recommended. 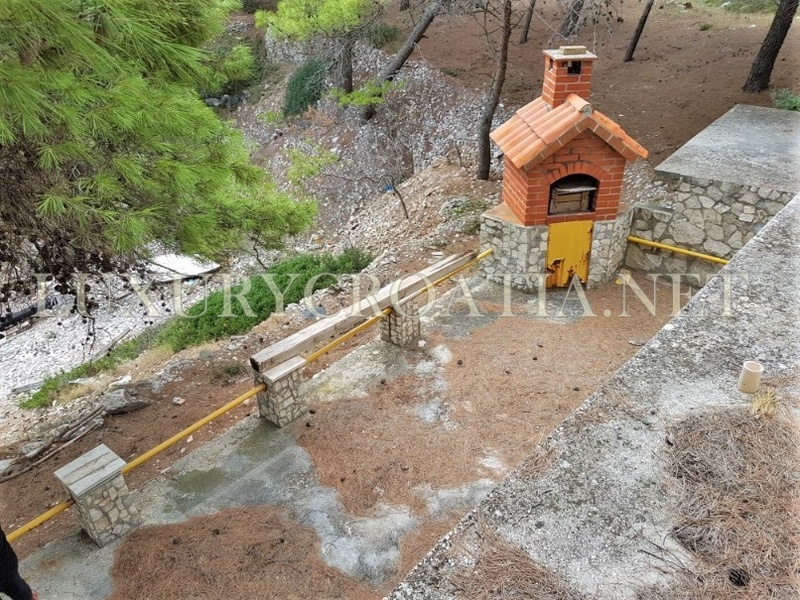 There is a water tank on the land, ideally to collect rainwater. 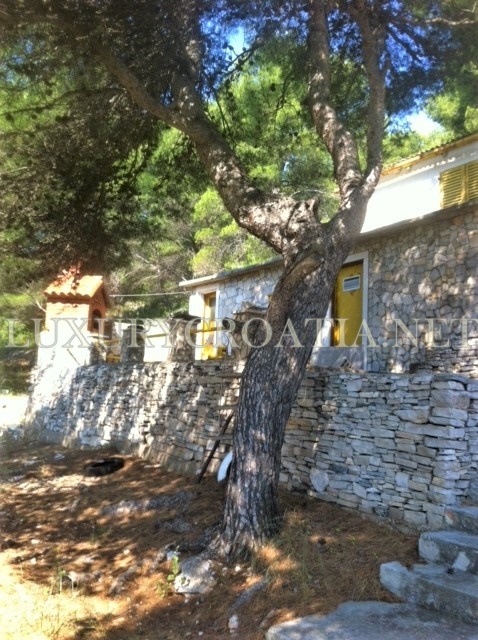 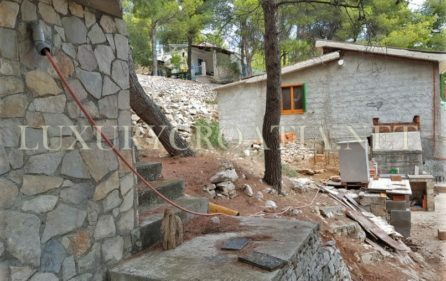 Land plot is about 500 m2 so nice garden can be grown. 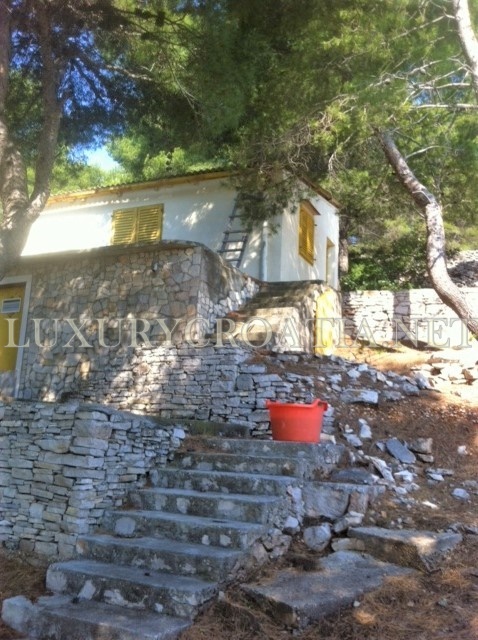 House is only a few meters from the sea, with boat pier in front of the house. 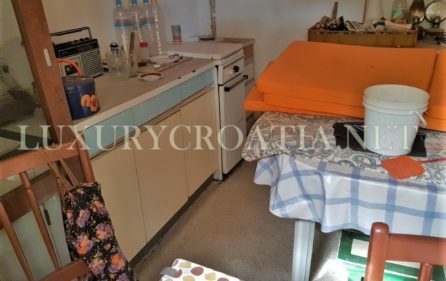 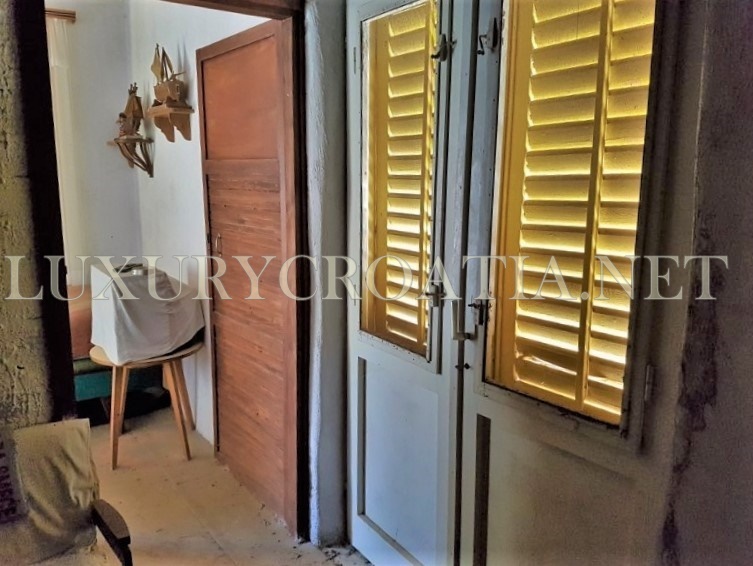 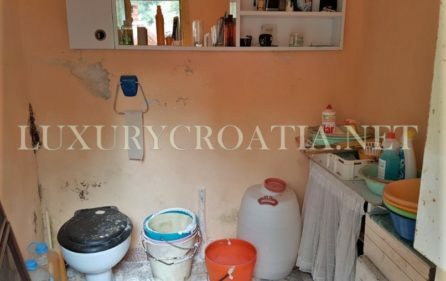 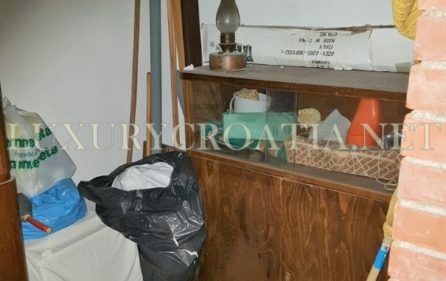 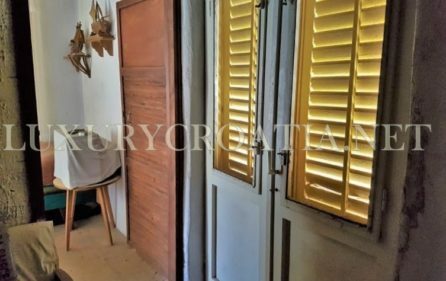 House has about 60 sqm of living area but needs total renovation because it is not in use for quite some time. 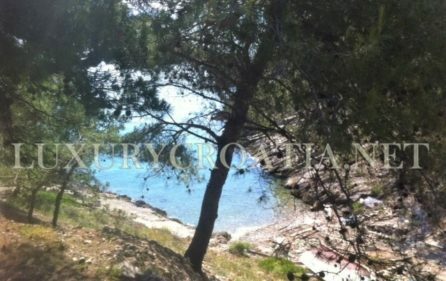 Location is very quiet, in the greenery of pine trees. 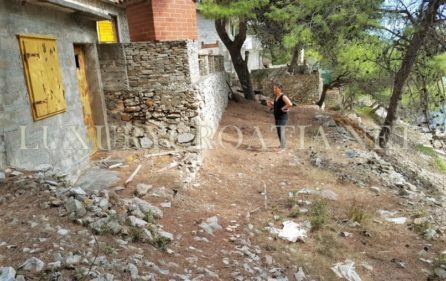 There is no car access to the house. 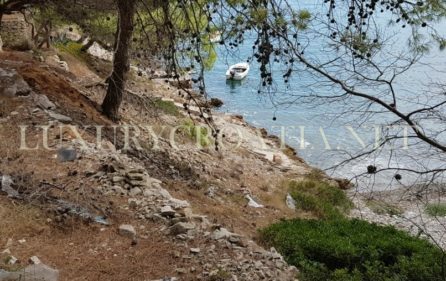 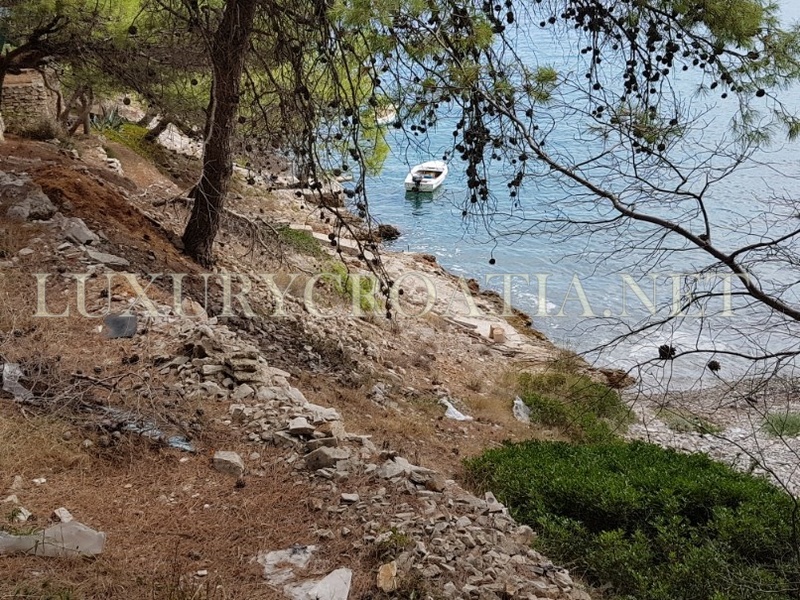 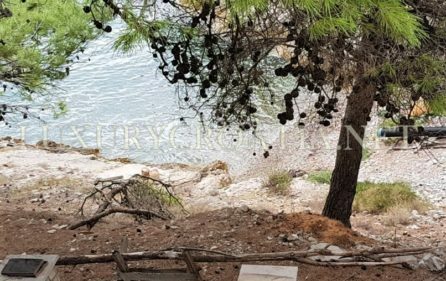 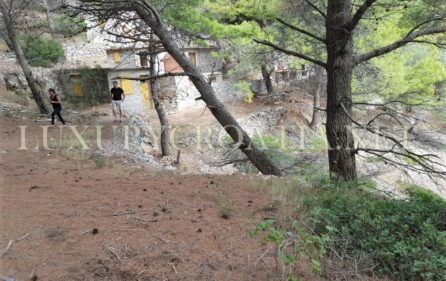 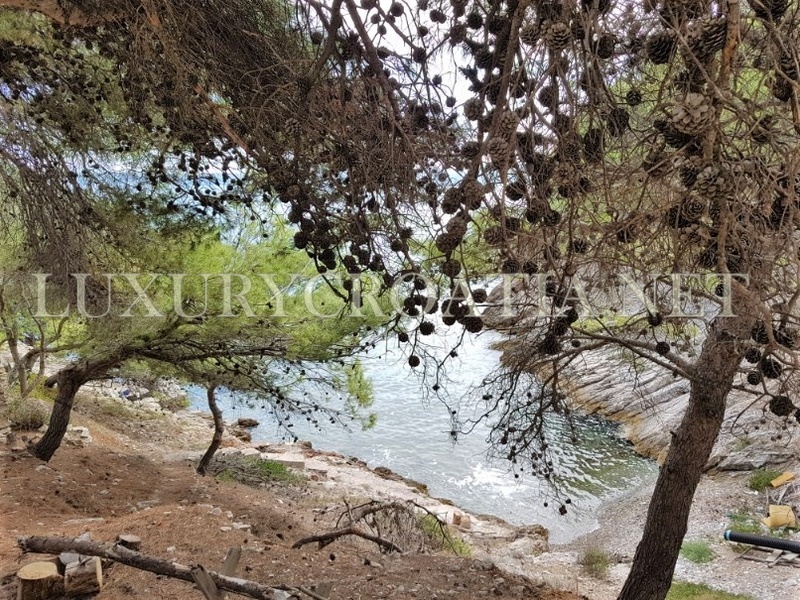 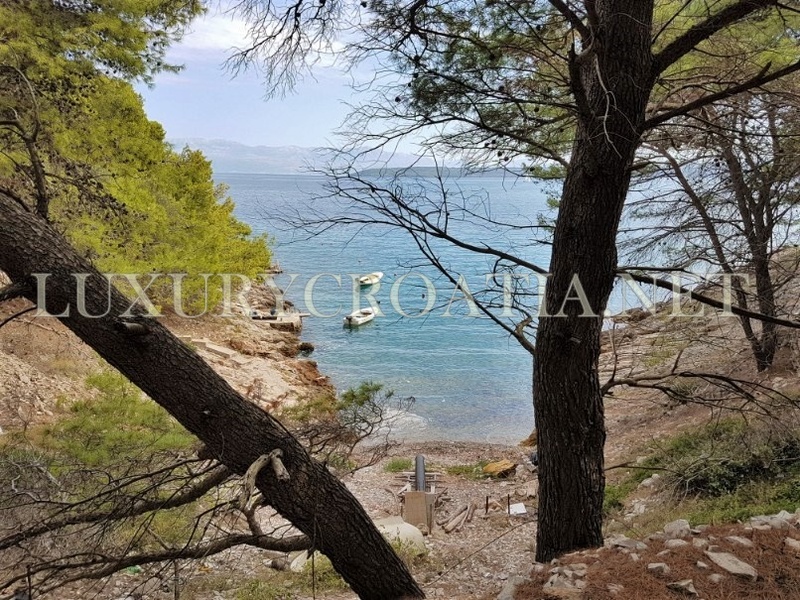 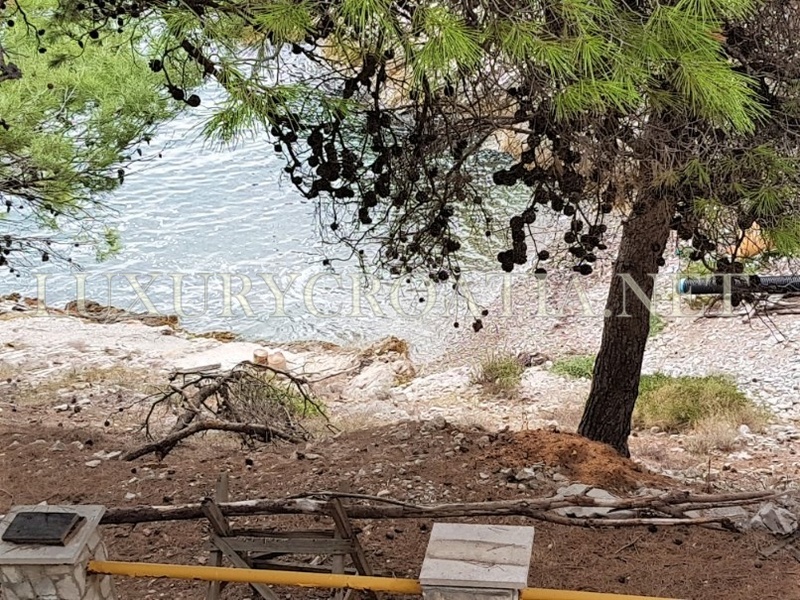 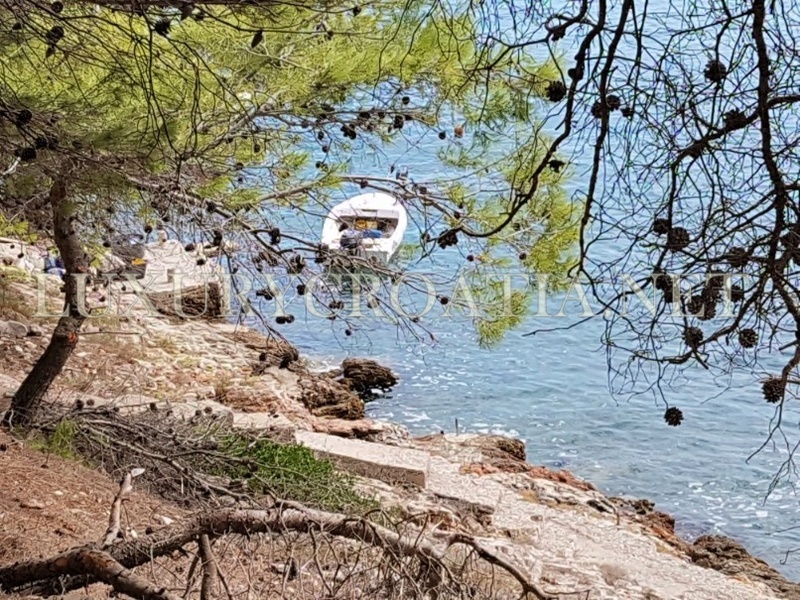 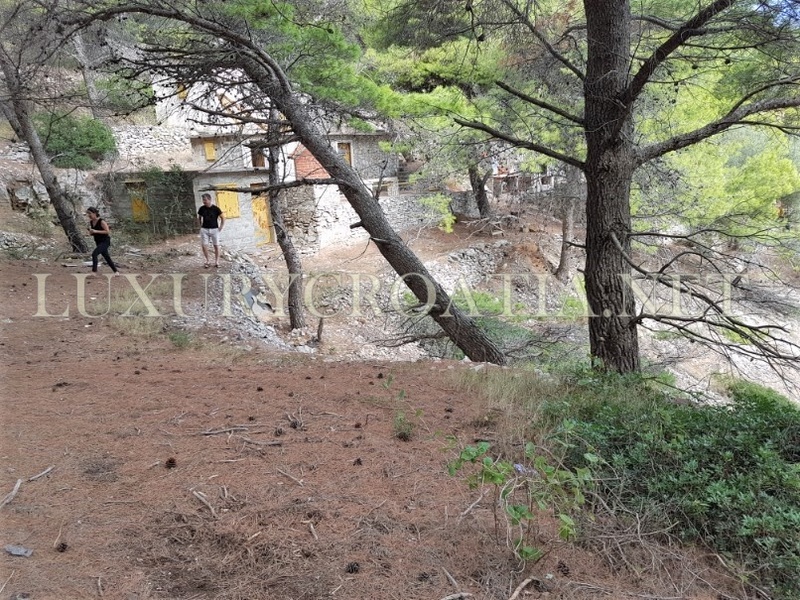 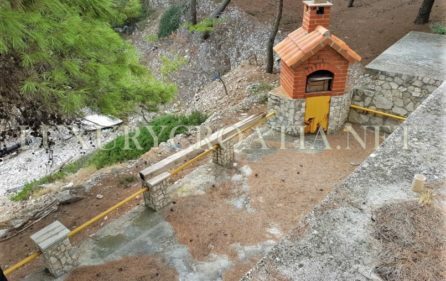 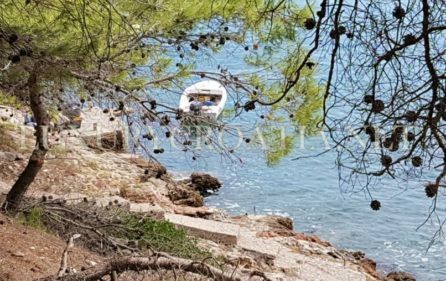 200 meters away is possible to park the car and walk down to the house (few minutes walk through pine wood) or use the boat which can be moored right in front of the house. 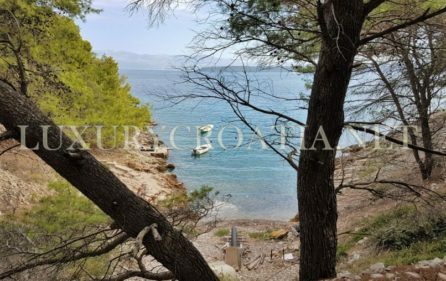 This is remote location so ideal for those who are nature lovers and enjoy tranquil surrounding away from noise and crowd. 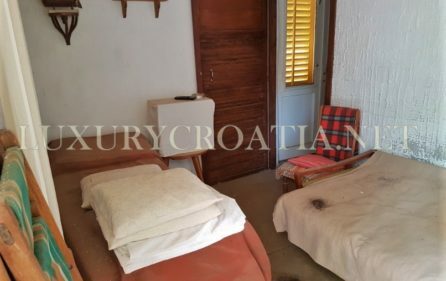 Takes 5 minutes to drive to Stomorska. 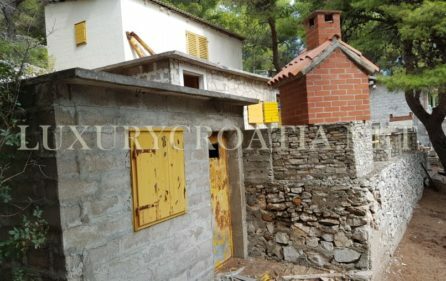 If you want to know more about Šolta click here: Šolta.